Home Corporate Blog General News AutoDeal numbers hit a record high in Q1 2016. AutoDeal numbers hit a record high in Q1 2016. 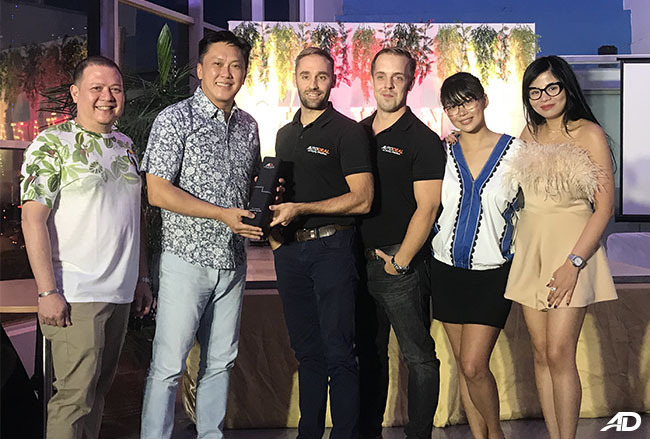 It gives us great pleasure to announce that AutoDeal.com.ph has achieved a year on year audience growth of 240% for the first quarter of 2016, sustaining our position as the no.1 new car marketplace in the Philippines. Web traffic also increased by 79% from Q4 2015, driven by an increased volume of return users who are using the AutoDeal platform to facilitate communication with more than 1,000 sales agents at 300 partner dealerships. 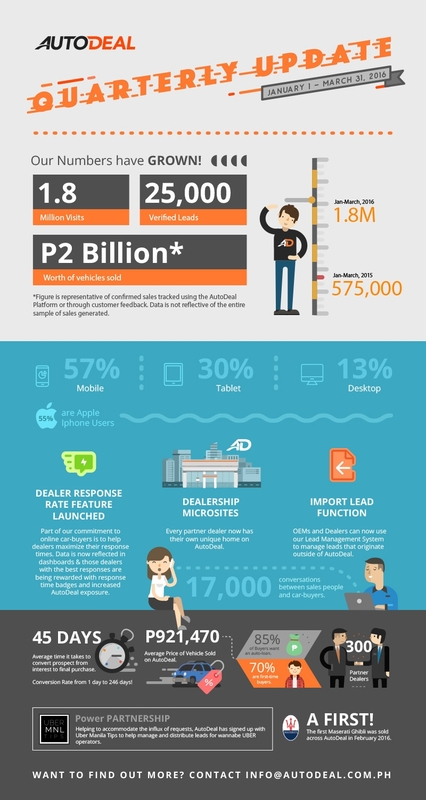 To date, AutoDeal has now facilitated more than 30,000 unique conversations between car-buyers and accredited dealers, successfully delivering more than P2 Billion worth of vehicle sales* in multiple segments. In addition to traffic growth, the volume of leads generated by AutoDeal have increased by 90%, allowing us to reciprocate further value back to our partner brands and dealers. 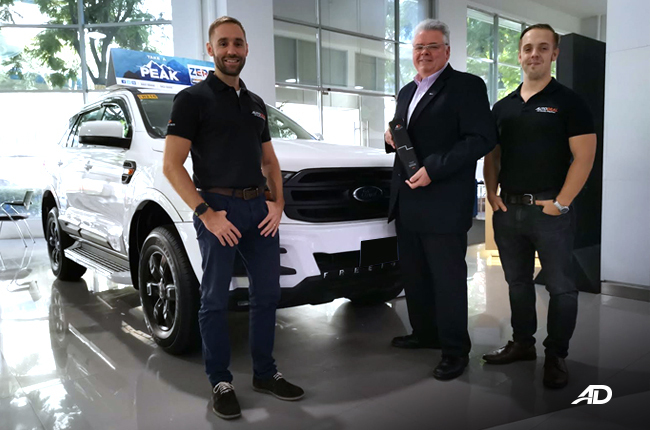 Through the implementation of our Lead-Management-System, we have also increased the response time of dealers by 30% through our strong partnerships with vehicle manufacturers and dealer networks. The average vehicle price sold has also increased by 48%, indicating increased usage of the platform across multiple buying demographics. "While our audience growth is incredibly pleasing, it's actually the increase in real-world car sales generated by AutoDeal that really excites us," commented AutoDeal co-Founder Daniel M. Scott. 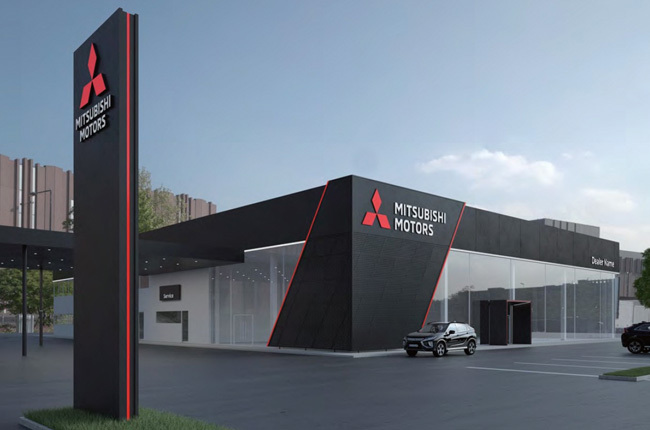 "Through our brand and dealer partnerships we're actually improving the way in which dealers handle online inquiries, helping the customer to facilitate his transaction while at the same time increasing the likelihood of a sales agent closing a sale." Our data, which is publicly available for viewing at SimilarWeb.com also indicates industry leading bounce rate and a highly engaged audience. 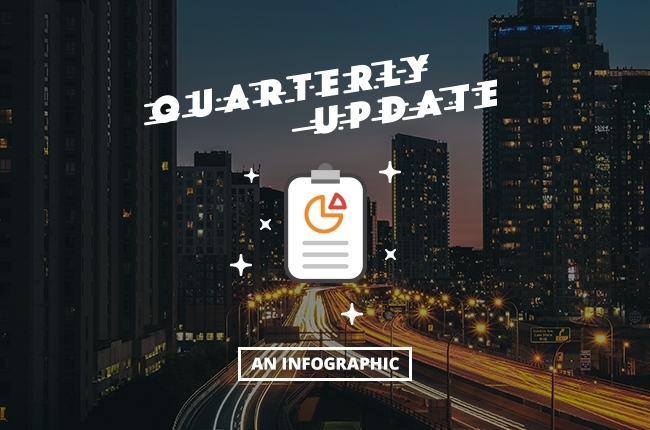 Q2 will feature further developments for AutoDeal technology that aims to provide an increased benefit for online car-buyers while at the same time providing enterprise level tools for dealers and brand to better monitor their lead-funnels. For more information on AutoDeal.com.ph and it’s variety of manufacturer and dealer programs, feel free to contact us at info@autodeal.com.ph. *Numbers based on known sales only.